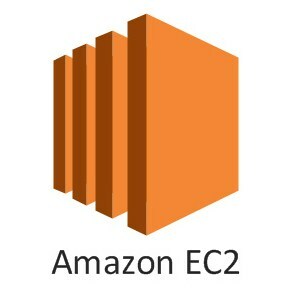 An EC2 instance is a virtual server in Amazon Web services terminology.EC2 is a web service where an AWS subscriber can request and provision a compute server in AWS cloud. Creating a EIP and connecting to your instance. 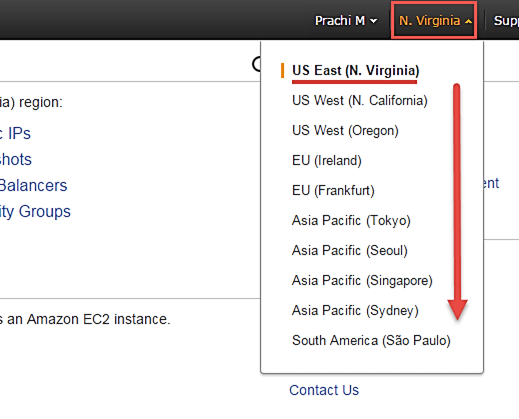 You will see all of the AWS Services categorized as per their area viz. Compute, Storage, Database, etc. 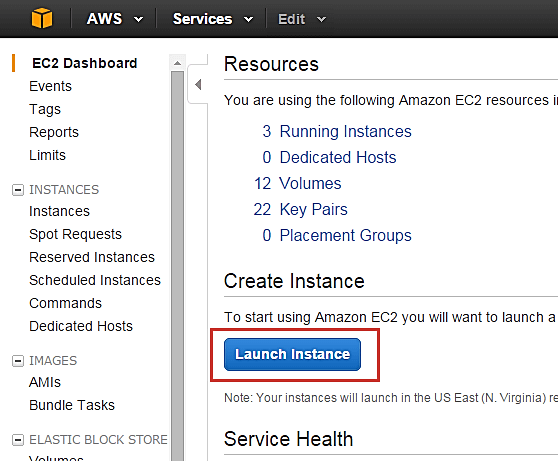 For creating an EC2 instance, we have to choose Compute EC2 as in the next step. Here we are selecting N. Virginia. AWS provides 10 Regions all over the globe.Its increasing over time.Because Amazon opens new regions all over the world day after day. 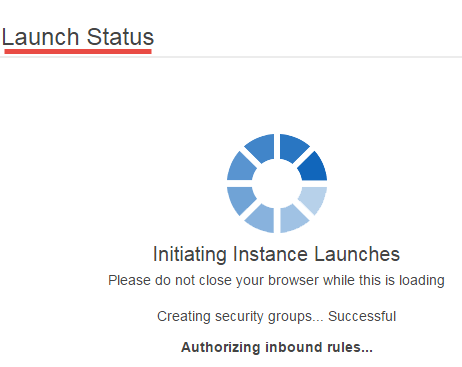 Click on ‘Launch Instance’ button in the section of Create Instance (as shown below). 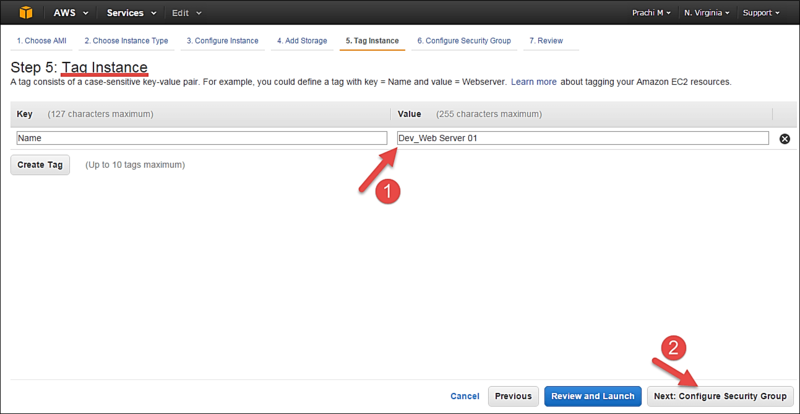 Instance creation wizard page will open as soon as you click ‘Launch Instance’. 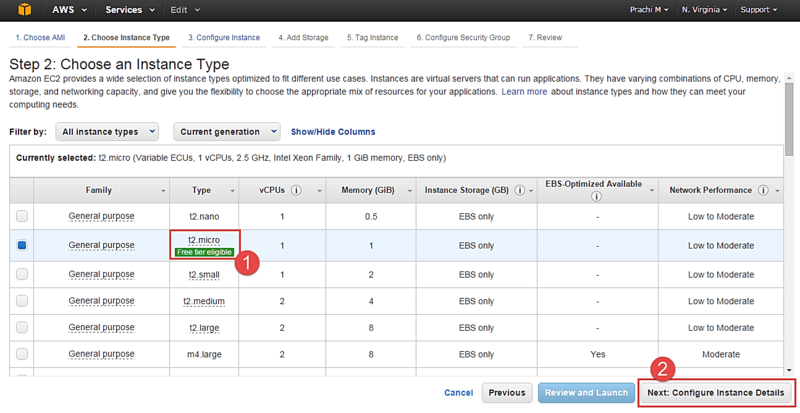 In the next step, you have to choose the type of instance you require based on your business needs. We will choose t2.micro instance type, because its free, which is a 1vCPU and 1GB memory server offered by AWS.AWS Free Tier includes 750 hours of Linux and Windows t2.micro instances each month for one year. 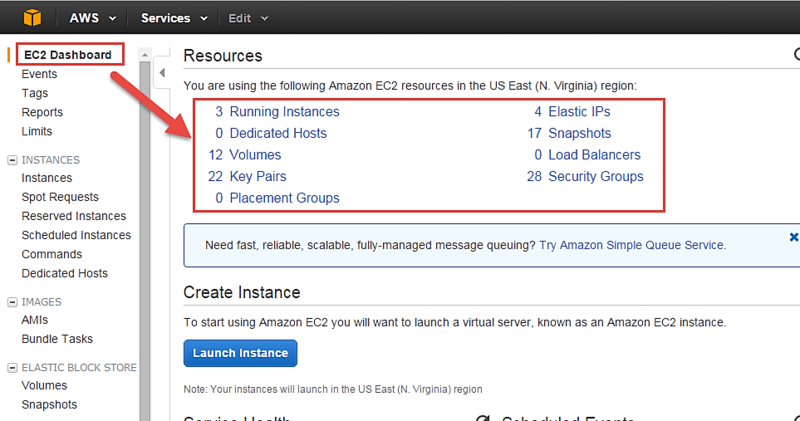 To stay within the Free Tier, use only EC2 Micro instances. 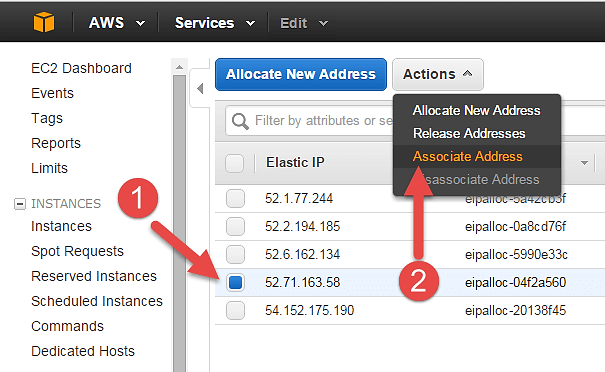 Click on “Configure Instance Details” for further configurations. Next step,We will configure this instance details. Step 1) No. of instances- you can provision up to 20 instances at a time. 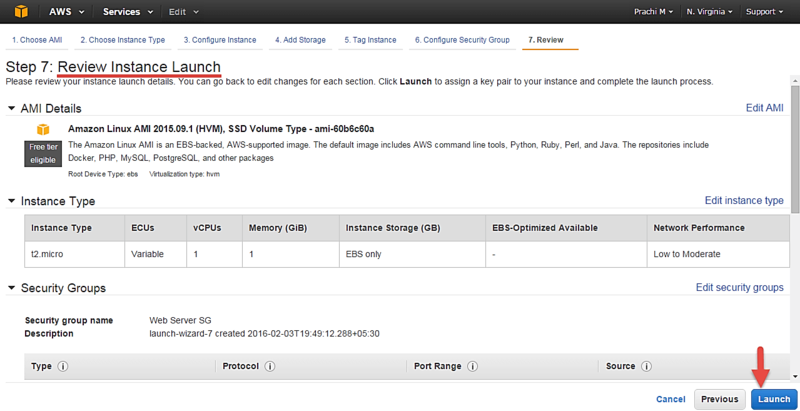 Here we are launching one instance.Whatever you want. Step 2) Under Purchasing Options, keep the option of ‘Request Spot Instances’ unchecked as of now. 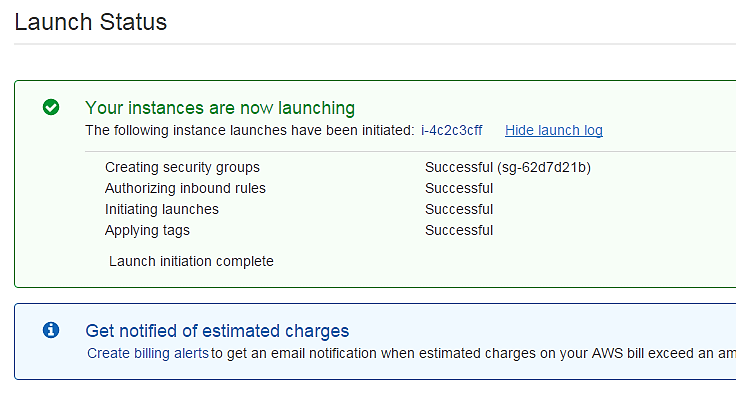 (This is done when we wish to launch Spot instances instead of on-demand ones. We will come back to Spot instances in the later part of the tutorial). 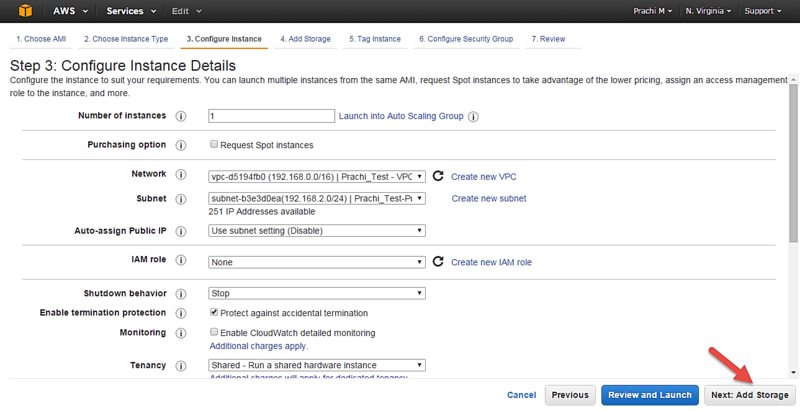 In this steps we configure VPC(Virtual Private Cloud) Amazon Virtual Private Cloud (Amazon VPC) lets you provision a logically isolated section of the AWS Cloud where you can launch AWS resources in a virtual network that you define. You have complete control over your virtual networking environment, including selection of your own IP address range, creation of subnets, and configuration of route tables and network gateways. You can use both IPv4 and IPv6 in your VPC for secure and easy access to resources and applications. 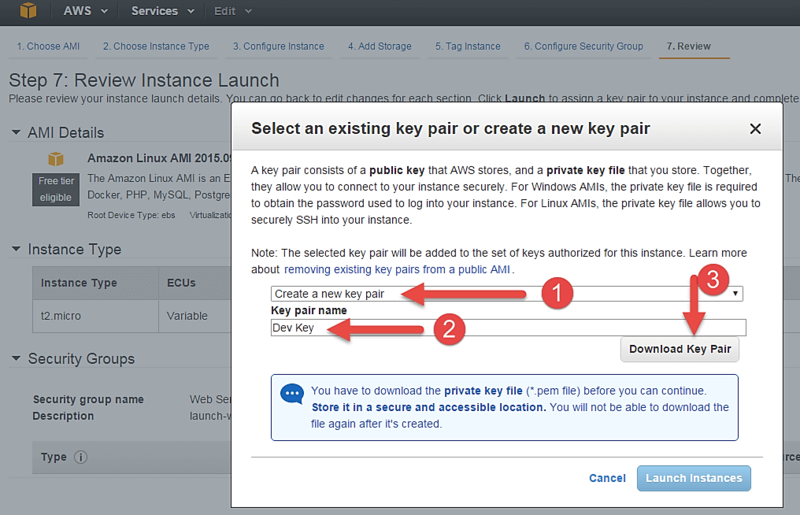 An IAM role is similar to a user, in that it is an AWS identity with permission policies that determine what the identity can and cannot do in AWS. However, instead of being uniquely associated with one person, a role is intended to be assumable by anyone who needs it. 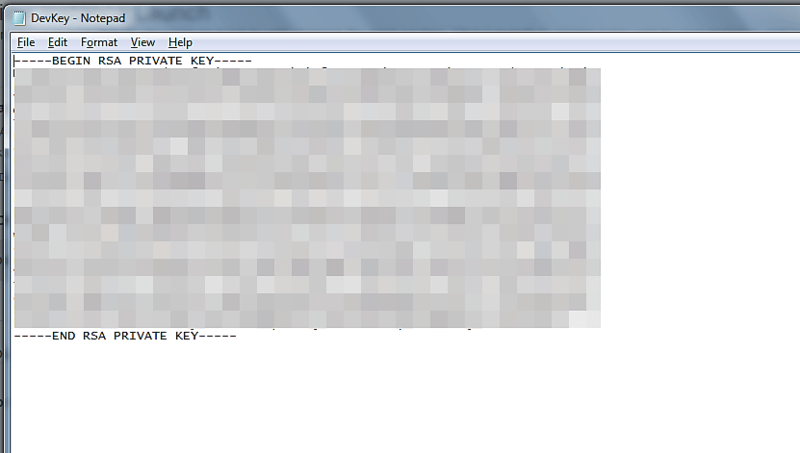 Also, a role does not have standard long-term credentials (password or access keys) associated with it. Instead, if a user assumes a role, temporary security credentials are created dynamically and provided to the user. Shutdown Behavior – when you accidently shut down your instance, you surely don’t want it to be deleted but stopped. 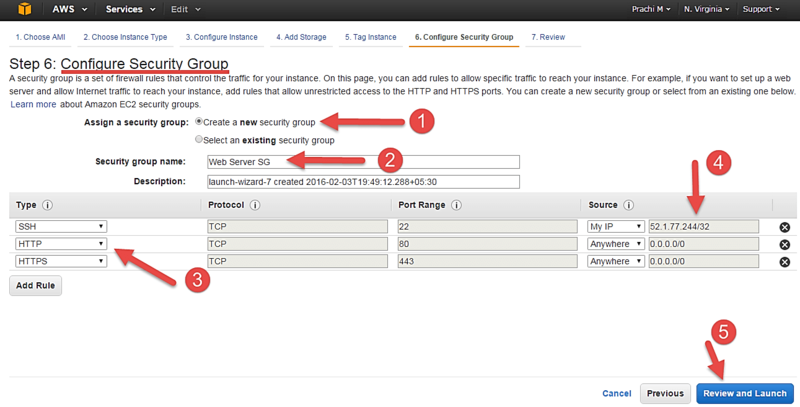 Step 1) In this next step of configuring Security Groups, you can restrict traffic on your instance ports. This is an added firewall mechanism provided by AWS apart from your instance’s OS firewall. Click on the ‘Instances’ option on the left pane where you can see the status of the instance as ‘Pending’ for a brief while. 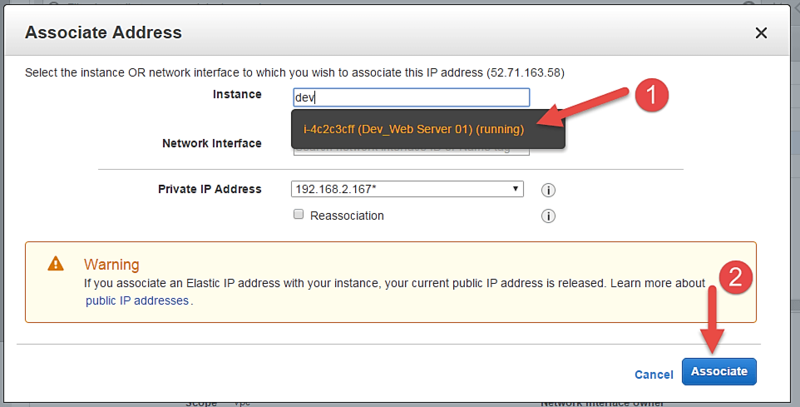 Once your instance is up and running, you can see its status as ‘Running’ now. 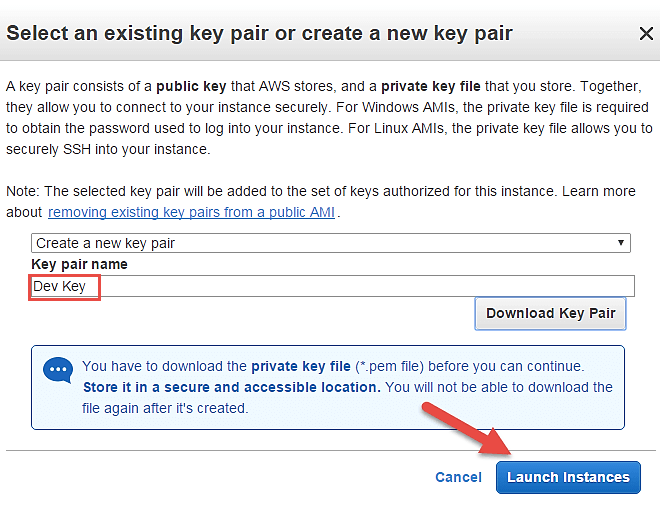 An EIP is a static public IP provided by AWS. 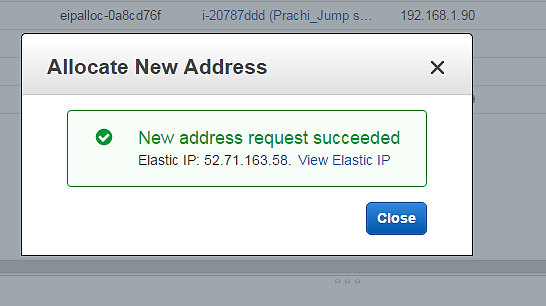 It stands for Elastic IP. 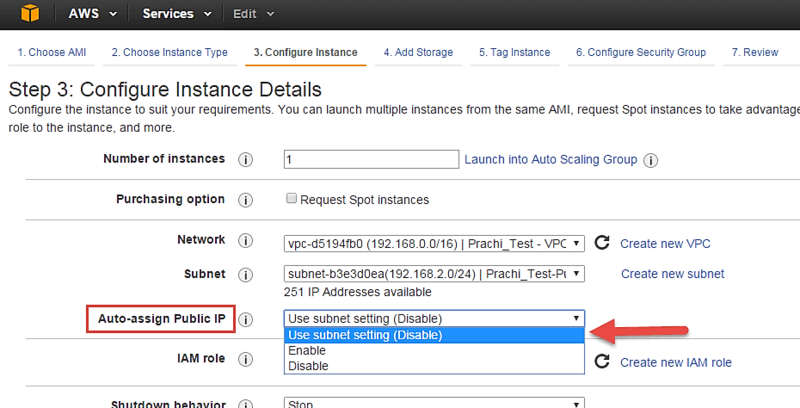 Normally when you create an instance, it will receive a public IP from the AWS’s pool automatically. 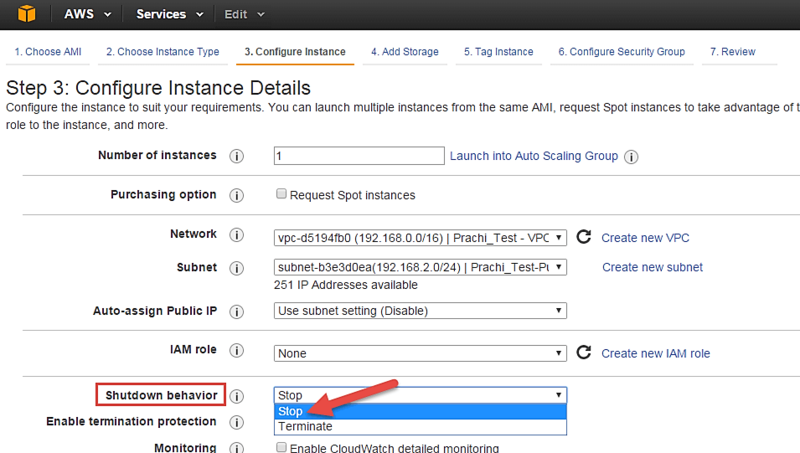 If you stop/reboot your instance, this public IP will change- it’dynamic. In order for your application to have a static IP from where you can connect via public networks, you can use an EIP. 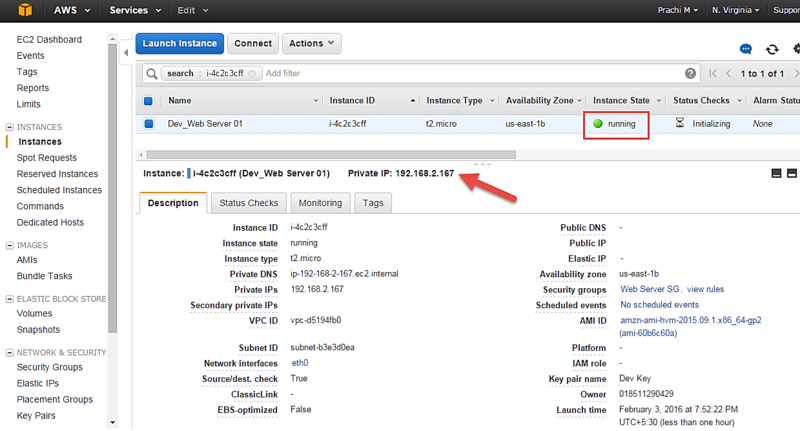 Step 1) On the left pane of EC2 Dashboard, you can go to ‘Elastic IPs’ as shown below. 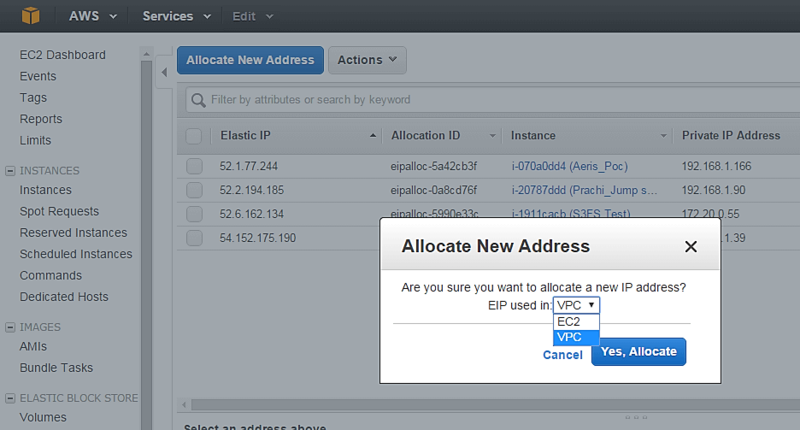 Step 6) Come back to your instances screen, you’ll see that your instance has received your EIP. 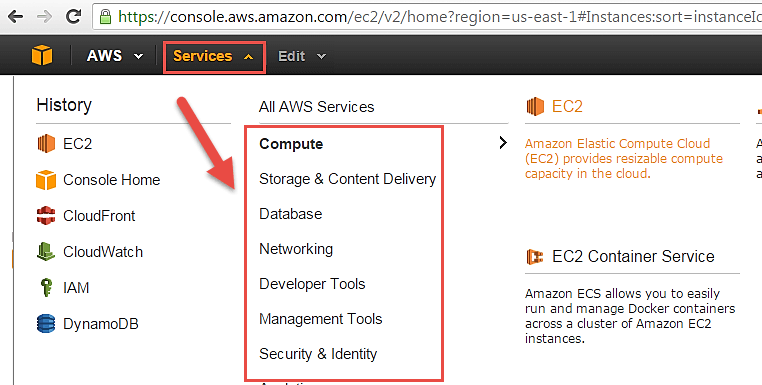 Finally, we saw in detail how to create an on-demand EC2 instance in this tutorial. Because it is an on-demand server, you can keep it running when in use and ‘Stop’ it when it’s unused to save on your costs.